A state Senate committee has voted to push Washington perilously back toward the inequitable school-funding system advocates have been fighting for decades. After a less-than-crisp debate in the wee hours of Wednesday morning, the Senate Ways & Means Committee voted 13-9 to allow school districts to sharply increase local property taxes to fund education. Yes, that is on top of much higher state property taxes imposed by the Legislature. If the levy were to pass, it would kill a plan the Legislature hammered out in 2017 in response to the Supreme Court’s 2012 McCleary decision. 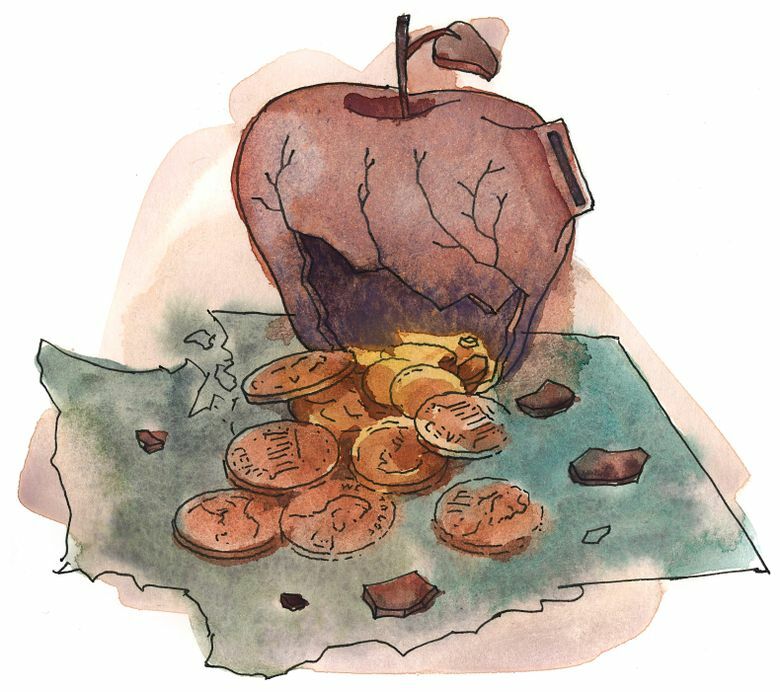 If the McCleary deal isn’t working, the Legislature should adjust state formulas to amply fund schools directly, not welcome back out-sized local levies. Some districts, like Seattle, Everett and Bellevue, already have local voter approval for levies higher than permitted under existing state law. But they cannot collect at those higher rates unless the Legislature raises the levy lid established in the McCleary deal. Current law limits local school levies to $1.50 per $1,000 in assessed property value or $1,500 per student, whichever is less. Those limits were set by lawmakers as a deal they made with taxpayers: state property tax would go up to pay for education and local taxes were supposed to go down to soften the blow of that increase. Now school districts want the Legislature to keep both state and local property taxes high. Senate Bill 5313, originally sponsored by Sen. Lisa Wellman, D-Mercer Island, but amended by Sen. Mark Mullet, D-Issaquah, and Sen. Guy Palumbo, D-Maltby, would allow school districts to raise up to $2.50 per $1,000 in assessed value or $2,500 or $3,000 per student, depending on the enrollment size of the school district. The levy lift violates the spirit of the McCleary deal. If school districts need more money to run their schools — and many have demonstrated they do — then the state should find more money for its education budget. Many districts cite inadequate state funding for special education, but lawmakers seem close to resolving this issue by both increasing the amount paid by the state to educate each special education student and by lowering the threshold for districts to qualify for additional or “safety net” funding for children with more expensive education and therapeutic needs. Shifting more school funding responsibility from the state to local taxpayers means the quality of a child’s education will once again be determined by his or her ZIP code. Voters in wealthier areas are simply willing to agree to higher tax rates, and their higher property values translate into more taxes collected. This proposal has some good points. It increases state assistance for school districts that can’t get voters to agree to local levies, which would balance some of the inequitable local school spending. It makes provisions for public charter schools to get some local levy dollars, another fairness issue. A Mullet-sponsored amendment also limits how much local levies can be used for teacher raises, forcing the question of whether higher levies are needed mostly to fund key positions or to cover salary increases. Even so, the bill’s core feature, resorting to local levies to cover shortfalls in important education programs, is flawed and reverses progress toward the state amply and equitably funding schools. Variations of this proposal have been discussed regularly in Olympia since January, and the legislative session is far from over. Local tax rates will likely be debated several more times before any final vote is taken on the levy cap. Lawmakers must think carefully about the precedent these proposals set for future school funding plans and whether this money will solve school districts’ budget problems or make them worse. These elected officials say they will continue to work toward fully funding basic education with state dollars. Voters must hold them to that promise. The Washington Constitution says public schools should be funded by state government. The Supreme Court says the old way of paying for education was over-reliant on local levies. Lawmakers have made some good progress toward fixing the system. Don’t backpedal now.